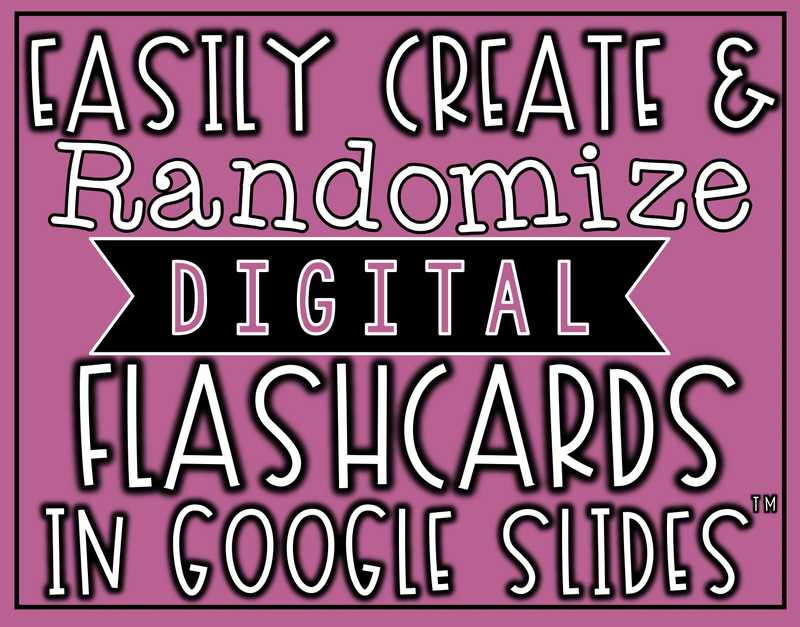 Easily Create and Randomize Digital Flashcards in Google Slides™ | The Techie Teacher® . 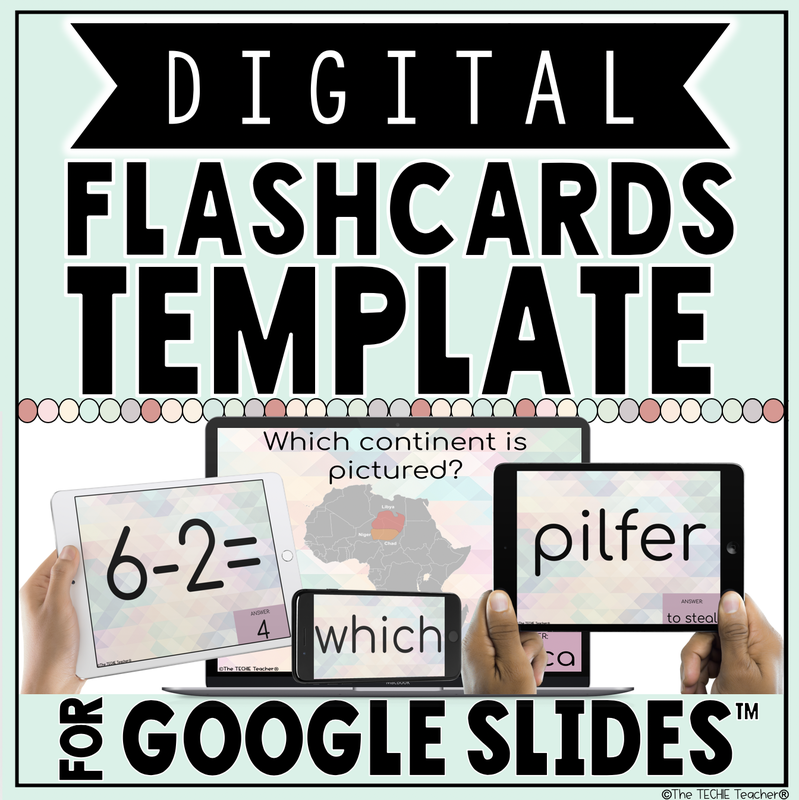 A few weeks ago I was working with a teacher who wanted her students to create digital flashcards to practice their math facts. 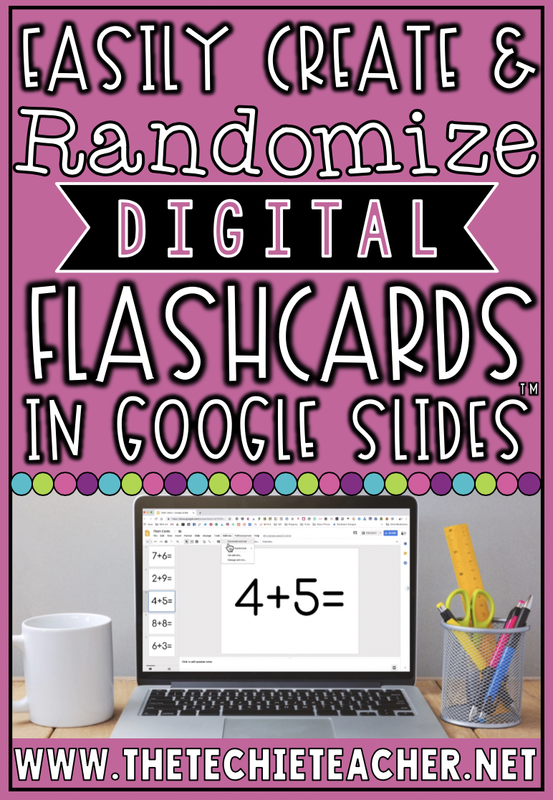 The first thing that came to mind was Google Slides and the handy Slides Randomizer Add-On. I shared with her that teachers and students can create digital flashcards in Slides in which each slide acts as a different "card". By installing the Slides Randomizer Add-On, the slides can be randomly reordered to provide a different review experience instead of manually randomizing the slides. Seriously, it is SO easy. First, click HERE to install the Slides Randomizer Add-On. Once you do that then the randomizer will appear under the Add-Ons menu on any slide deck you launch on your computer. Click Yes or No depending on your preference and the presentation will be completely reordered! That's it! What About Revealing the Correct Answers? If students are using the flashcards independently, then you might want to include the correct answers. You can do this on each slide by adding a text box or shape with the correct answer and an animation. 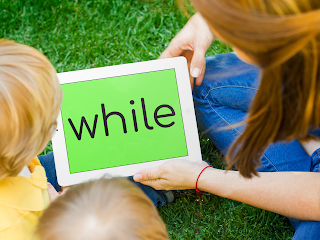 In order to animate the answer to appear when the slide is clicked, select the text box or shape that contains the answer and go to Insert>Animation. Choose one of the following animations that has a pink arrow next to it. You will need the answer to come into the presentation once it is clicked instead of exiting. Here is an example of an animation I selected. Keep the dropdown menu On click as is. Now when the slide deck is launched in presentation mode, the flashcard will appear and when the user clicks, the answer will be revealed. 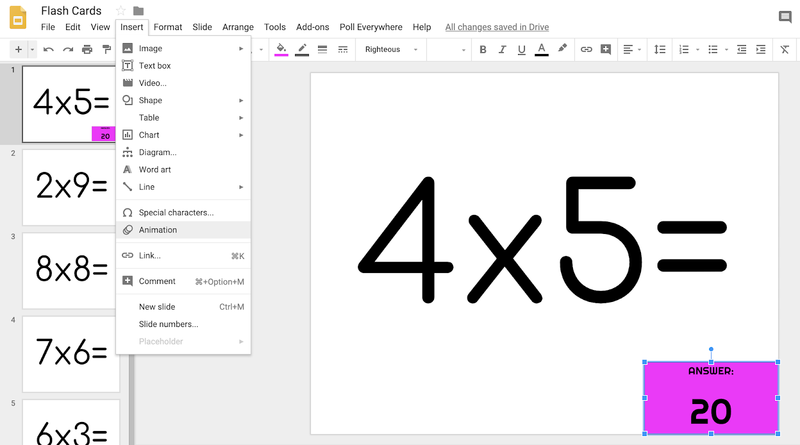 Google Slides can be used on Chromebooks, laptops, computers, iPads (Click HERE to download the iOS app) and tablets (Click HERE to download the Google Play app). However, the Slides Randomizer add-on can only be used on computers. If you want to still be able to use an iPad or tablet, just use a computer to randomize the slides and it will automatically update the file in real time on any other device. Below is a video tutorial I did on my Instagram stories that I exported. It is a little choppy since Instagram breaks everything up into 15 second videos but it transferred nicely for the most part. The second half is a Q&A I did in which I mention and demonstrate several different options for sharing/distributing the flashcards. 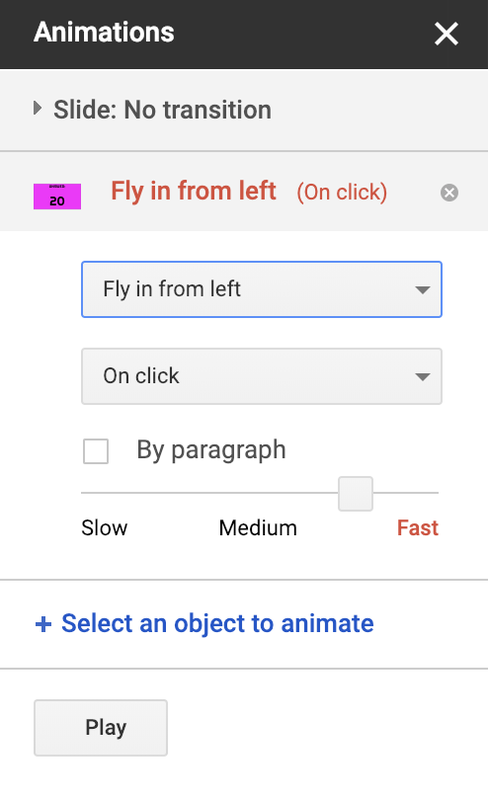 UPDATE (4/2/19) Google announced today that the ability to add audio files (.mp3 & .mov) straight from your Drive is coming to Slides! Read more HERE. 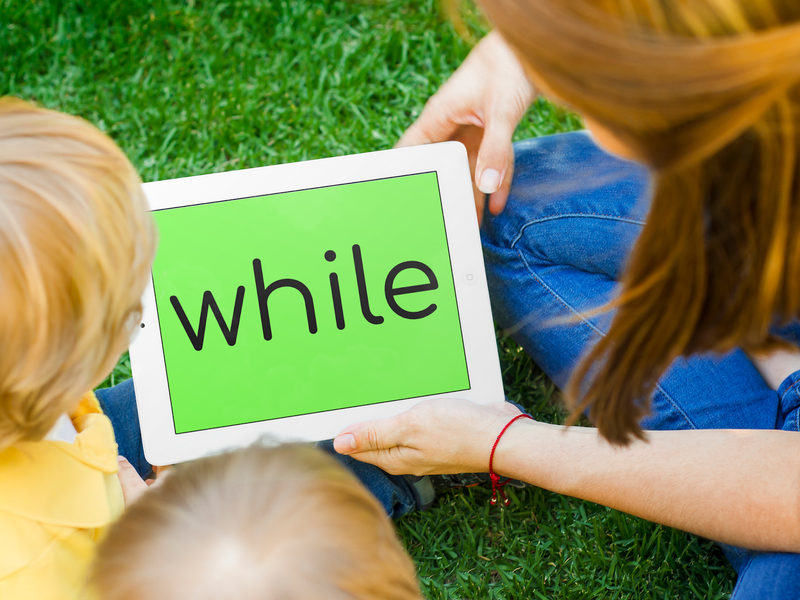 I mention in the video that adding audio for self-checking flashcards (perhaps correct pronunciation of sight words/vocabulary words) isn't an easy process. This is now a great option! After I published the tutorial videos above, I had several people ask if the colorful template I was using was in my TpT Store. So I uploaded it and you can find it HERE. What else? Feel free to leave your ideas in the comments below! I have added the add on, created my slides however when I go back to add-on it is not giving me the randomizer option. I have added it now many times. I use a MAC. Any suggestions? This is wonderful! Thank you for sharing and teaching me something new to use in my classroom. I have already did my first set of flashcards for the word stems we are working on. YAY, Susan!! So excited for you!